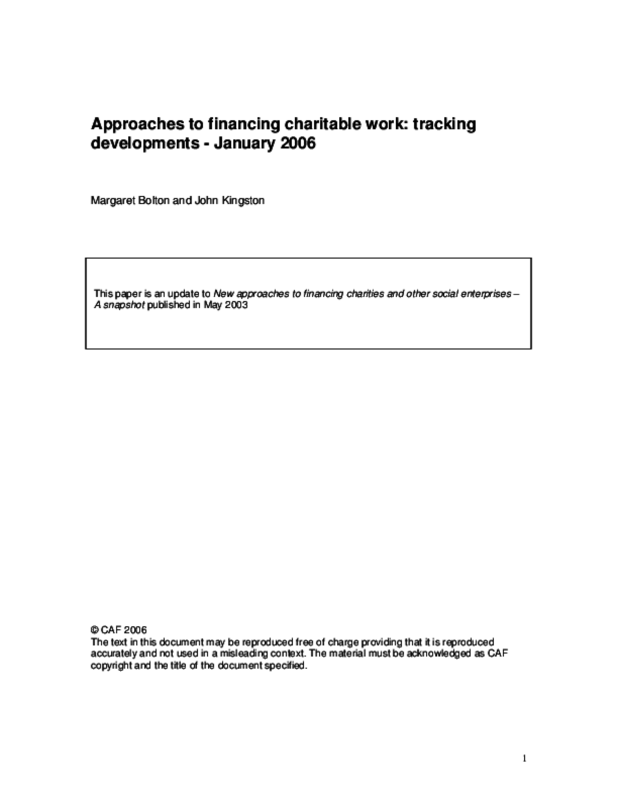 This publication refers to approaches of financing charitable work including the provision of loans and the taking of equity in organisations advancing charitable purposes. It focuses on the growing awareness of the needs for capital funding, UK government concern to encourage investment in disadvantaged areas, and increase advocacy from influential organisations and individuals. Copyright Charities Aid Foundation (CAF).